When Ann Arbor Plastics and Imperial Industries joined forces, the result was a company whose combined decades of expertise and experience in engineering and fabricating plastic products surpassed anything in the industry. This company is American Plastic Solutions - a fully comprehensive sheet plastic fabricator who offers the same high quality of our two predecessor companies, but with even greater efficiency and broader capabilities. Established in 1945, Imperial Industries uses Polypropylene, Polyethylene and PVC to manufacture medical tanks, plating tanks, dipping baskets, plating barrels, plastic enclosures and barrel gears. Our products were used extensively in the metal plating, coating, cleaning and chemical processing industries - or anywhere else corrosion resistant applications were required. This includes the automotive, hardware, appliance, circuit board and furniture industries, to name a few. Imperial’s insights and understanding of our customers’ businesses enabled us to consistently provide quality fabricated plastic products. 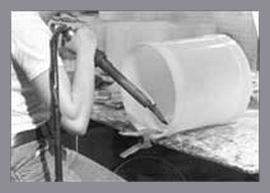 In 1972, Ann Arbor Plastics launched a business designing, manufacturing, and distributing fabricated plastic products to the retail, service and hospitality industries. AAP made our name by meeting and exceeding customers' criteria - using the most advanced plastic sheet processing technology of that time while maintaining a personal hand-on approach to customer service. By 1991, we had transformed into a global manufacturer, expanding the capabilities of our core business to service customers around the world. American Plastic Solutions brings together the experiences and successes of Imperial Industries and Ann Arbor Plastics to manufacture superior custom products - especially in the face of the most difficult design challenges. 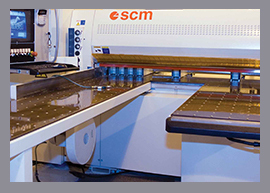 From medical devices, plating tanks and retail displays, to OEM plastic components and food processing equipment, our portfolio of custom-engineered and fabricated sheet plastic solutions continues to grow. And don’t worry. If you don’t see what you need here, it just means we haven’t been asked to take a crack at it yet. No matter how big or complicated your project, we’re ready for your challenge at American Plastic Solutions. Engineered and made in America since 1945.